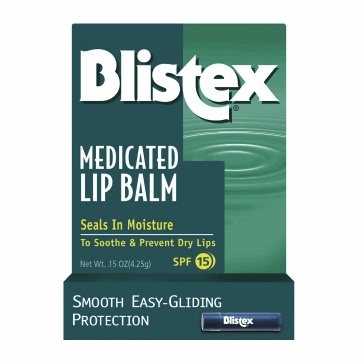 Blistex Medicated Lip Balm helps prevent dryness and chapping. Its easy glide formula also soothes irritated lips. Sun Protection: Blistex Lip Balm provides SPF 15 protection. Remember, Lips Don't Tan. They burn! Blistex Medicated Lip Products in Bulk Quantities.